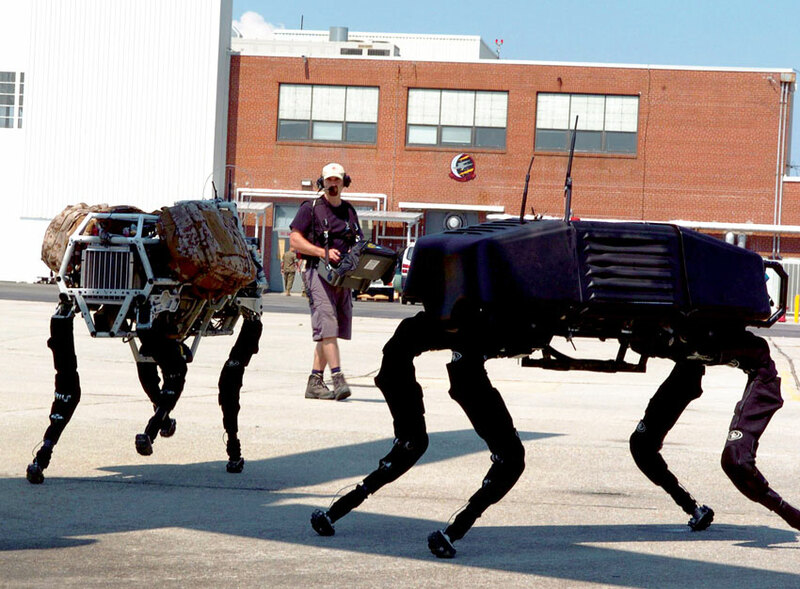 Google acquired Boston Dynamics in late 2013 as part of Andy Rubin’s 9-company shopping spree. At the time the company had 80 employees and many millions of dollars of research contracts from DARPA and the DoD. Although no financial information was provided at the time, various sources have estimated that Google paid $60 million plus extensive stock options. A more recent guesstimate from The Dallas Business Journal was $500 million. Andy Rubin left the company in October 2014. After this the robot initiative was plagued by leadership changes, failed collaborations and an unsuccessful search for a new leader. Fomenting this lack of cohesion were Boston Dynamics executives who were reluctant to work with Google’s other robot engineers, according to a person familiar with the group. This recently released Boston Dynamics video of a humanoid robot trudging through the snow and being pushed over has been seen by almost 15 million viewers, but not enough to convince Google that it would generate real revenue. Consequently Alphabet, Google’s parent company, has decided to sell Boston Dynamics “as it is not likely to produce a marketable product in the next few years,” Bloomberg News reports, citing two people familiar with the plans. Possible buyers include Toyota’s research institute and Amazon, which makes robots for its fulfillment centers, according to the Bloomberg report. Alphabet, the new holding company that separated Google from its collection of speculative projects, has reframed the robots effort, moving it from a stand-alone division inside Google to a piece of the X research division. The company has also hired Hans Peter Brondmo, a technology industry veteran who last worked at Nokia, to help with management. X is using some element of robotics in numerous projects like self-driving cars; Project Wing, an effort to deliver packages with drone aircraft; and Makani, an effort to capture wind energy with high-flying kites. This is also a moment for reality in robotics. The past two years have brought an unending stream of predictions about the coming “robo-calypse”. Just about the only thing left to discuss has been whether the robots will put us all out of work first, or whether a malignant AI will wipe us out. As people working in the field are growing tired of explaining, the current state of the technology — though advancing fast — is a long way from these science fiction scare stories. The uncertain fate of Boston Dynamics underlines that truth. Even Google didn’t have the patience to wait for a walking robot to step out of the lab and earn itself a living.